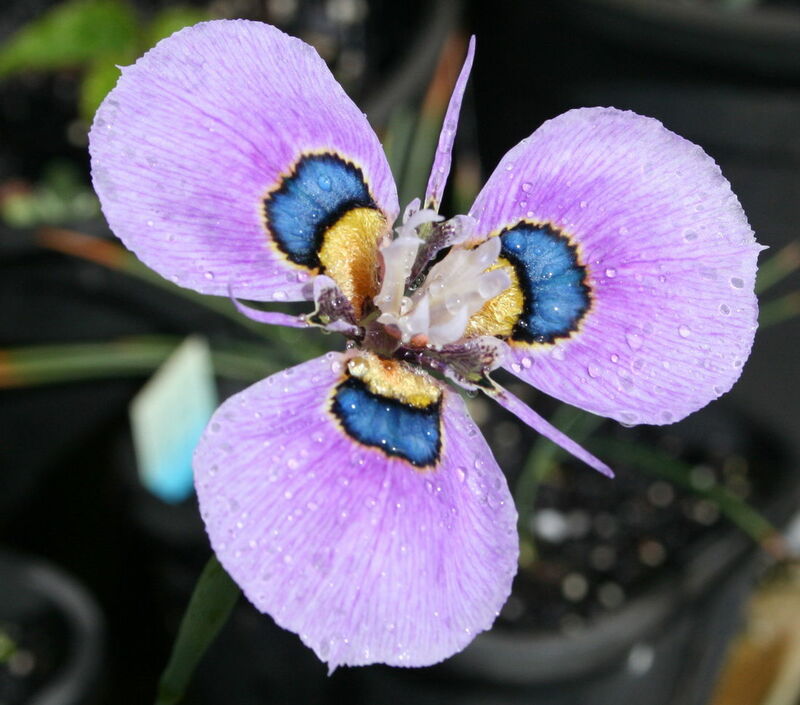 A large genus of 100 or more species mainly from South Africa and a few from tropical Africa and Madagascar are members of the Iridaceae family. Blooms are mostly made up of 3 large outer petals and 3 tuft like inner standards. Colours vary over the whole spectrum with many having a striking and contrasting central ‘eye’ zone. However there are some species like M.pendula that are fully reflexed like a cyclamen. Stem length is also very variable ranging from 10cm through to over a metre tall. These bulbous corms, that are covered with a tunic, like a well drained sunny situation enriched with blood and bone and lime. Top dressing with a small amount of slow release fertiliser whilst they are in active growth is beneficial. Spring rains are usually adequate however will benefit from watering if the Spring is dry. They need a dry rest over the Summer dormancy and some frost protection in colder areas is needed.